Astroid - CEM Solutions Pvt. Ltd. 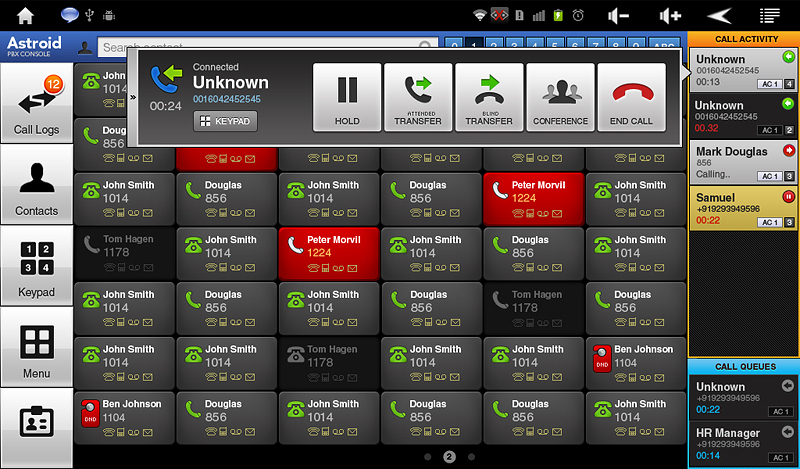 The astroid operator console is a product of Allo.com used as an office receptionist phone system. Often referred to as an operator or switchboard, Allo.com’s virtual receptionist console is an affordable replacement to the traditional button bank. 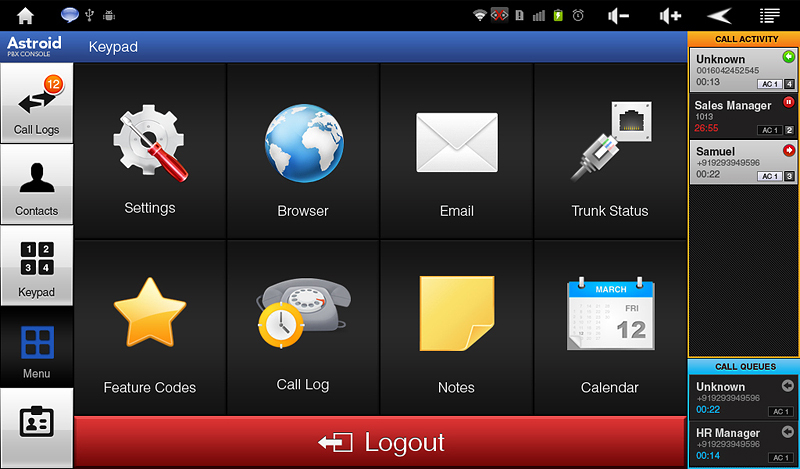 Comes with a very intuitive touch screen user interface primarily used for call handling and monitoring users' lines. 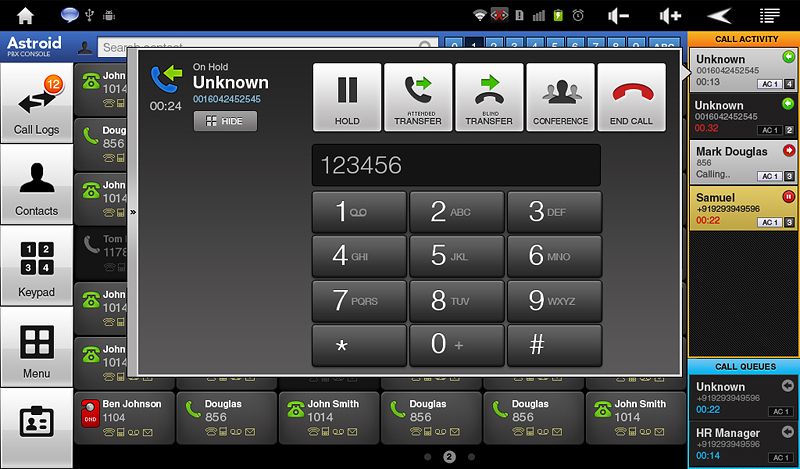 Also used for live call monitoring in an open source IP-PBX or SIP based PBX. In a system with hundreds of users, the Astroid Operator can accept the calls, perform directory look up, and can view the status of the users' line (forwarded, busy, idle or ringing) and advise the callers of the line status. 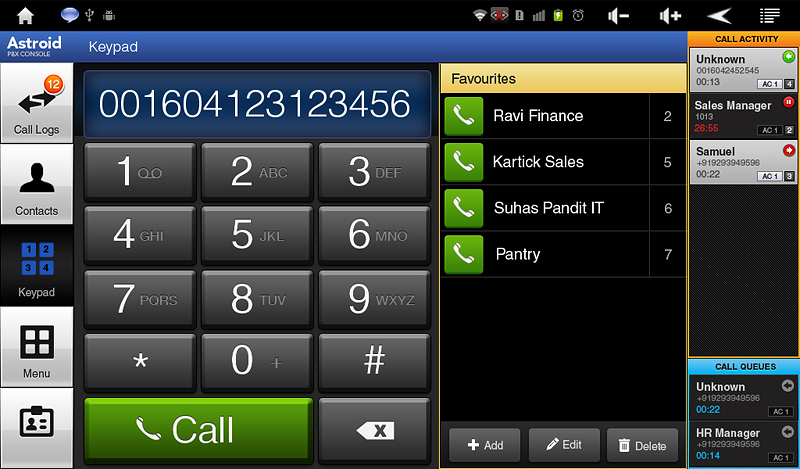 The Operator Console can then transfer the call to the user by just one or two touches of the phone panel screen. The primary benefit of the user interface is for quicker transaction time and subsequent customer satisfaction improvement. Live monitoring of extensions: Each account Contact will be configurable through AMI/ presence to support BLF (Busy Lamp Field) on the SIP based PBX. Support of multiple SIP accounts: 4 SIP accounts. Support multiple SIP proxy, registrar, and outbound proxies. 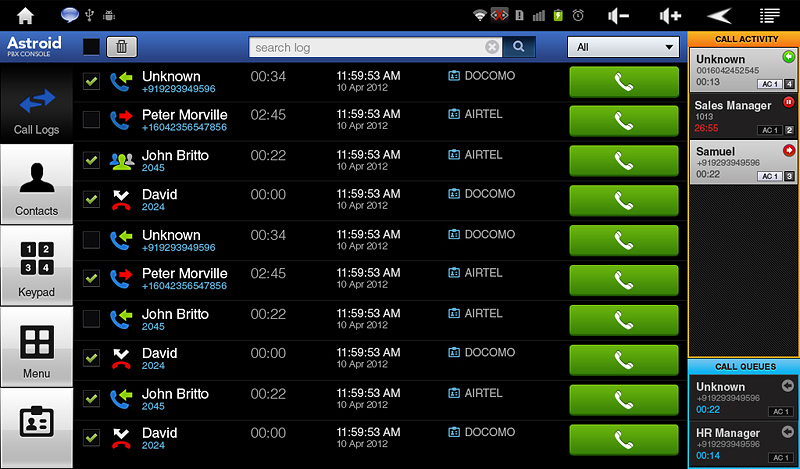 Each account has separate call logs: List dialed, answered, missed calls with call duration, date & time. User grid layout: Operator can see all the extensions and their status. Visual phonebook of the connected PBX will be for the operator contacts information. The Application will open automatically if receives incoming call. Redial from the call logs. 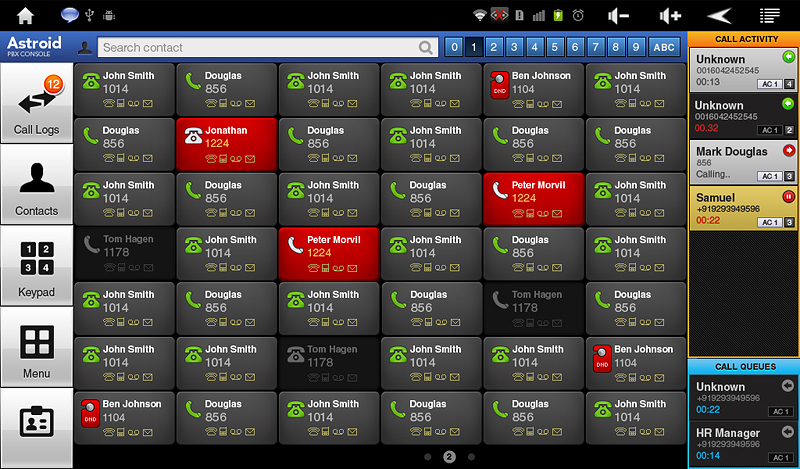 Per account based call alerts from the android notification manager.